There’s a lot to be said for common sense when it comes to losing weight. Since foundation in 1983, Jenny Craig has been changing lives for the better by offering weight loss programs that focus on the whole person, enabling healthy lifestyle choices along with satisfying meal options. While other food and dieting fads come and go, Jenny Craig has consistently offered the full package of diet, exercise, nutrition and one-on-one support to help people reach their target weight. 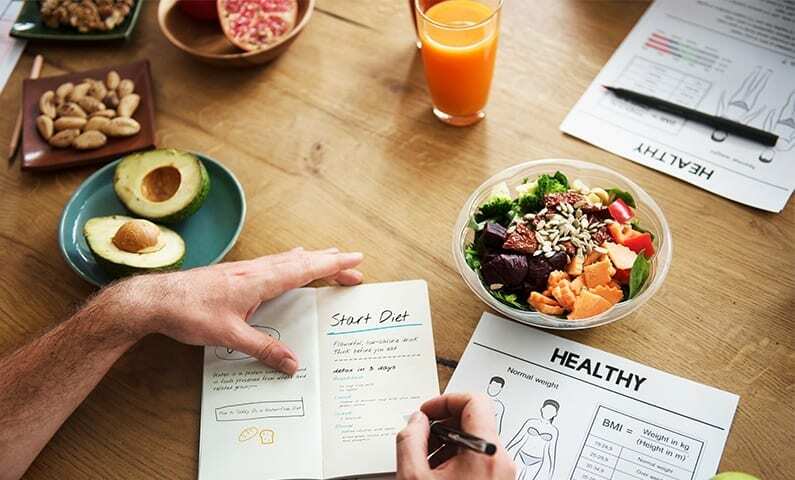 The science is backed by Accredited Practising Dietitian advice from experts in Australia and the US, allowing Jenny Craig weight loss program adherents to proceed with life-changing confidence. A Jenny Craig weight loss program is overseen by your Consultant during every phase of weight loss. Your personalised menu and meal choices are tailored to match weight loss goals, while providing the nutrition and sustenance required to facilitate busy lifestyle, work and family commitments. Jenny Craig allows you to make appropriate dietary decisions and remain on track from initial consultation to weight loss program completion. We offer ongoing support and guidance during transition from dietitian tailored diet to independent meal planning, completing your own personal food revolution journey in healthy culinary style. What weight loss program works the best? At Jenny Craig, every member is treated as an individual with specific needs. Some of us lose weight easily, while others struggle to shed kilos even while undertaking a spartan diet, necessitating expert Dietitian intervention. From the time of your first consultation until weight loss targets are reached, your Jenny Craig journey is overseen by solutions experts dedicated to fulfilling your individual needs. The best weight loss programs include balanced and healthy eating in moderation coupled with appropriate physical activity, without sacrificing dining pleasure. Jenny Craig weight loss programs work because they assist with steady, incremental weight loss that allows you to function as normal at work, school or home while losing weight and feeling better with every passing week. What is a good weight loss program? We all need regular, healthy meals to function at our best, and good weight loss programs don’t encourage skipping meals. Inconsistent and inadequate eating results in lethargy, weakness and mental fatigue. As any dieter knows, the mental side of weight loss is as important as the physical, and the mind can become a good friend or your worst enemy depending on your chosen weight loss method. 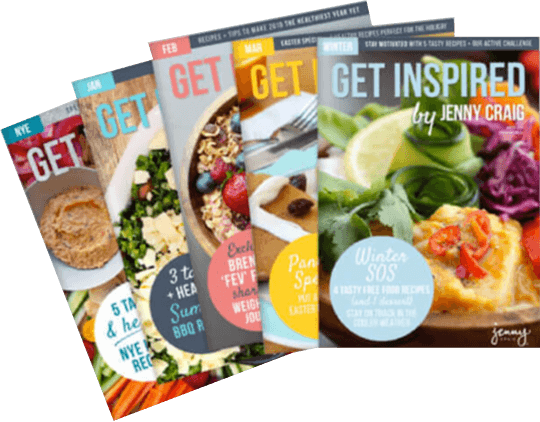 Jenny Craig utilises a holistic approach to weight loss, where body, mind and spirit remain on parallel course for easily achieving weight loss targets. Your Jenny Craig Consultant will help you choose and personalise a weight loss program that is perfectly formulated just for you. How to begin a weight loss program? 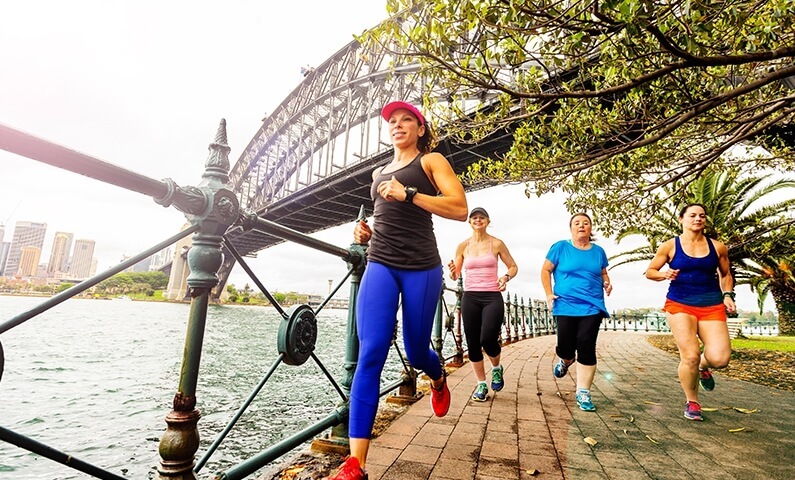 Step One: Have a free consultation in person at one of our 104 Australian and New Zealand Jenny Craig Centres, or call over the phone from anywhere. Create your personalised weight loss program and menu plan with expert guidance that includes weekly support and calorie controlled meals picked up or home delivered. Step Two: Enjoy up to 4 perfectly portioned, nutritionist-designed meals daily. Menu options include more than 70 delicious meal choices for dining pleasure that is sure to be the envy of your family and friends. New meals are continually added to the selections, ensuring tasty variety for the full duration of your Jenny Craig experience. Step Three: Check in weekly with your Jenny Craig Consultant. Alternatively, call from the comfort of your own home for guidance and inspiration that includes strategies for overcoming challenges, along with the motivation needed to reach targets and celebrate achievements. At Jenny Craig, we assist all the way, including your transition from weight loss to healthy weight sustainability once you have achieved your goals. The best way to lose weight is by eating kilojoule / calorie and portion controlled meals coupled with healthy lifestyle habits. It’s not rocket science, but it is based on the most progressive food science for developing strength, stamina, healthy weight loss and good eating habits moving forward. Jenny Craig is the obvious choice for people who genuinely want to lose weight and keep it off. Only Jenny Craig offers the full weight loss package by accurately identifying your individual needs, listening to your concerns, encouraging your aspirations and developing a weight loss program that is personalised just for you.